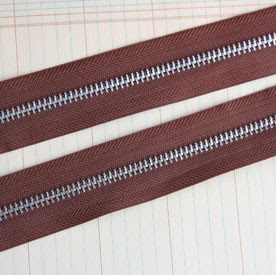 I got Maya Road Zipper Trim for Your Scrapbook Stash May's DT kit and I wanted to make something fun out of it. 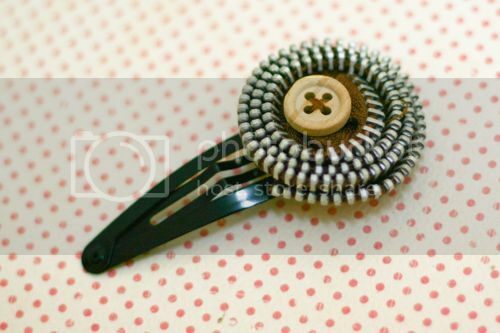 And I thought of hair clip...how fun! 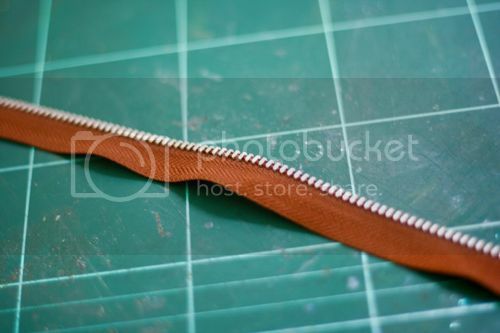 First separate the zipper, so you will get only one side of it. For the zipper flower I created, the length was 12". Then, just sew "slip-stitch" until till the end. Once you get to the end, do not end your knot but to slowly pull the thread so the thread will gather. 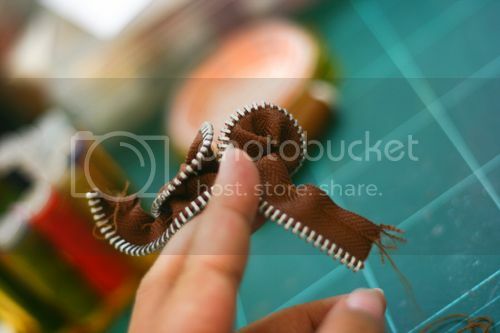 Once you are happy with it, sew a knot at the end and cut off the excess of the thread. 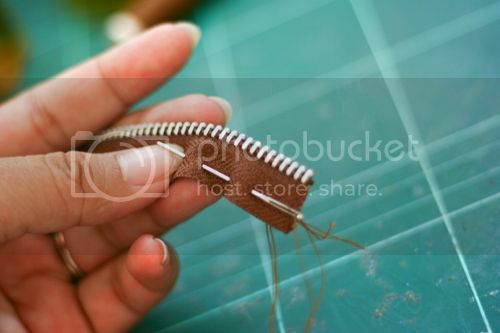 Next, all you have to do is to roll the zipper. As you go along, remember to adhere fabric glue/hot glue to secure it. 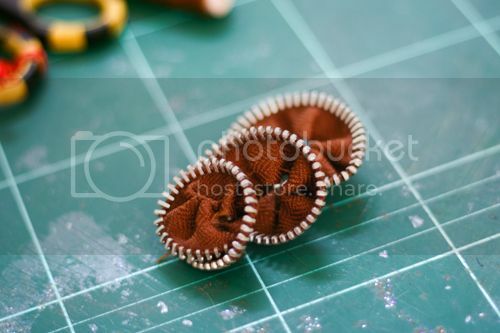 Adhere the zipper flower onto the hair clip and you are good to use it! sweeeeeeet idea!!! It is adorable! WOWWWW!!! this is so cute!!! i want it !!!! That is really great. 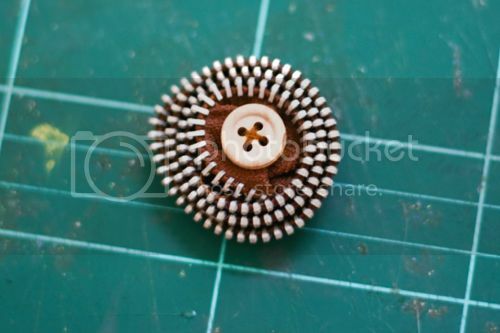 I´ve only seen zipper flowers before. aaaaahhhhh!!!! so cool so cool! I love how the zip flower turned out! Love this Jessy - what a fun & cool tutorial - was just hoping to see your pretty face at the end, wearing the clip in your hair! gurl this is so cool!!! i cant wait to try ur tute and make one for Missy A!!! (hopefully she'll let me put it on for her la :P lol!! ) tfs dearie!! :)its super cute!! This is simply ingenious, Love it! !